The EU must fulfil its responsibilities in accordance with international law to ensure that the Saharawi people are given the opportunity to exercise our right to self-determination, writes Mohamed Sidati. Mohamed Sidati is the Polisario representative to the EU. On 13 September, Advocate General Melchior Wathelet of the European Court of Justice (ECJ) released his opinion on the EU-Morocco agricultural deals, declaring that the agreements cannot apply to Western Sahara because Western Sahara is not a part of Morocco. 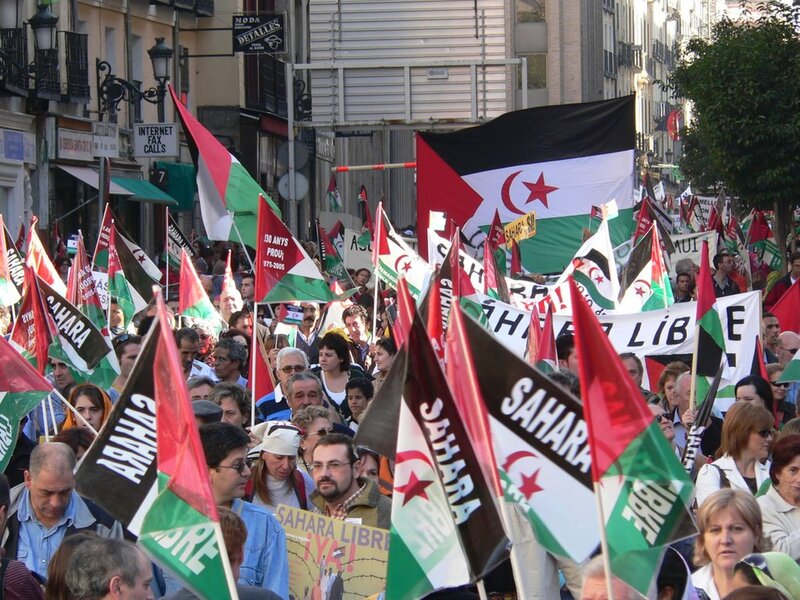 The ruling confirms the legal standing of Western Sahara as a Non-Self-Governing Territory (NSGT), and affirms that Moroccan resource extraction from Western Sahara is illegal. The opinion upholds the landmark ruling by the International Court of Justice in 1975, and reaffirms the legal opinion of UN Legal Counsel Hans Corell. And whilst the Polisario welcomes the ruling as a positive step, there is much more the EU can do to help ensure the Sahrawi people exercise their sovereign rights to control their natural resources, an important step towards a lasting solution in Western Sahara. The Moroccan government has a long record of illegally exploiting Western Sahara’s natural resources, which include large phosphate deposits in the north, potential oil and gas reserves, and some of Africa’s richest fishing grounds off the Atlantic coast to the west. Morocco’s record of exploitation includes entering into fisheries agreements with the European Union that have enabled foreign vessels to gain access to fish in the territorial waters of Western Sahara, and oil exploration via illegitimate contracts signed with foreign companies. The European Union must fulfil its responsibilities in upholding international law by ensuring that these violations of sovereignty do not continue, and by ensuring European member states are not complicit in entrenching Morocco’s occupation over Western Sahara. There are numerous cases of European companies involved in the extraction and trade of resources from Western Sahara; the most recent being on 15 September. The chemical tanker Key Bay, registered in Gibraltar, arrived in France with a shipment of fish oil from Western Sahara. Given that the EU-Morocco trade deal had been previously ruled that EU-Morocco trade could not include products from Western Sahara, this shipment should have been subject to tariffs, but was exempted by French customs. The responsibility falls on EU institutions and member states to enforce the ECJ’s legal rulings, as Morocco continues to label Western Saharan products as “Moroccan” for export. The Sahrawi people look to Europe as an example of the core shared values of freedom and democracy alongside respect for international law. We look to the EU to demonstrate its clear commitment to uphold international law by ensuring no Western Saharan resources are included in the EU-Morocco trade deal, and call for the European Court of Justice to comply. The Advocate General’s opinion comes at a time of increased tension. In August, Moroccan forces crossed into the buffer zone in violation of the ceasefire, where they began construction of a road. This act of provocation is Morocco’s second major ceasefire violation of 2016, following the assassination of a Sahrawi shepherd by Moroccan soldiers in February. These acts come on the heels of Morocco expelling the political staff of MINURSO, the UN Mission in Western Sahara. It is imperative that the UN Security Council take these violations seriously. The UN’s credibility, and that of the Security Council in particular, depends on its ability and willingness to carry out its mandate. Such brazen attempts by Morocco to derail the progress of the UN political process cannot continue. The EU must do more to promote a lasting solution to the conflict by fully supporting the UN political process. France regularly blocks progress towards a resolution in order to protect its leverage with Morocco; this is not a constructive diplomatic approach. Polisario remains committed to a peaceful self-determination process in order to achieve a lasting solution, but we require a negotiating partner prepared to act in good faith in pursuit of the same goal. We would, therefore, welcome the EU’s increased participation in the UN-led process as an honest and credible broker, whilst increasing the pressure on Morocco to engage constructively with the diplomatic process. Morocco has continually obfuscated diplomatic progress, and its security forces routinely abuse and sometimes kill Sahrawi protesters in the occupied territory. Journalists, foreign officials, and even tourists are detained or expelled without cause. Morocco continues to illegally plunder Sahrawi natural resources, and, as UN documents explicitly acknowledge, has now shown a lack of interest in maintaining the ceasefire. In parallel, we have done everything that has been asked of us—peace, stability, democracy, cooperative diplomacy, and rejection of violence. We have shown our willingness to work through legal and diplomatic channels, to negotiate with Morocco, to cooperate with the UN and MINURSO, to respect the ceasefire, and to ensure human rights and transparency. We ask only that the international community holds up its end of the bargain, and that the EU steps up to fulfil its responsibilities in accordance with international law to ensure that the Saharawi people are given the opportunity to exercise our right to self-determination. Everything about your post is embarrassing to Morocco. The three points you make are all untrue. Stop making us look stupid and desperate. What are responsabilites of EU toward conflict in West Sahara. Null. There is no any obligation for EU to do something about this conflicat and all another conflicts around the globe. Only responsability EU has regarding its own citizens who pay taxes in EU budget. And that is all. So all foreign citizens , please, take care for you self and do not ask us in EU for help and money, because we need it for us, our children and grand children. No this is not slfishness , but only way to survive in globalizated world. Sorry, but you have by your self earn money for you . Do not expect that we will do it for you. EU and all EU member states do have obligations! They are parties to international organizations – UN to begin with – and signatories to treaties. And this is not even about your money!!! Your money currently flows to Morocco, against european agriculturers, for example, when what the Saharawis need is support on all other levels. A solution to their problem would actually save the EU a lot of money (from the agreements mentioned above in the article) and from the humanitarian aid destinated to the Sahrawi refugees. I find it astounding that people really think they can get help from others for their struggle by telling them it is their ‘obligation’. If you are really that arrogant, then you will not have any support from me. I don’t like arrogant people. And I do think most Europeans would agree with me. And no I really do not care what you call me. The EU needs to ignore these people. Why should it ignore them?